Since moving to Oregon a few years ago Florence has been a favorite destination of mine. The soft sand and beautiful beaches with scattered driftwood are a sight to see. The sand outside of Driftwood Shores Resort and Conference Center is expansive, flat, and conveniently located steps from the hotel rooms. Not a typical place to host a sporting event, but the space set the stage for a picturesque and exciting beach soccer tournament. 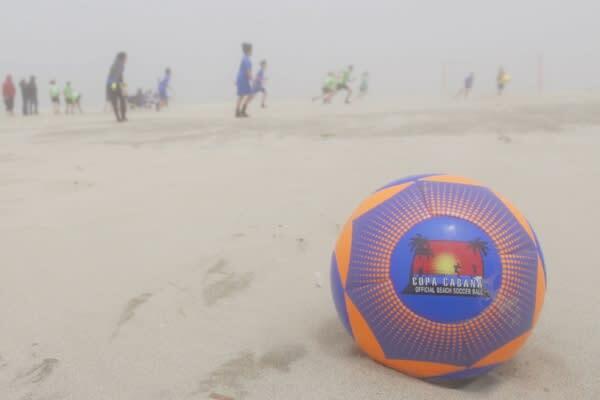 Copa Cabana Beach Soccer first started on the sands of Rio de Janeiro’s Copa Cabana Beach, some thirty years ago. Differing from regular soccer, beach soccer is low impact on the body and requires a much higher level of energy , while being played across the world’s beaches. 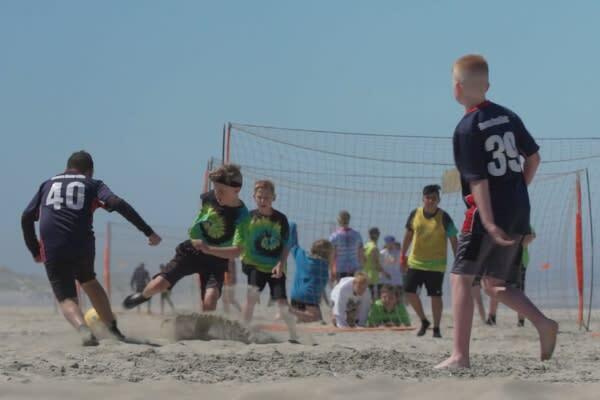 Played by all ages – beach soccer is enjoyed by boys and girls 8 years and older, adults and co-ed teams. 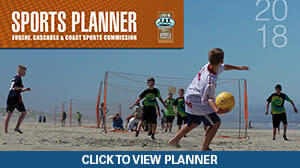 Beach soccer is played on small fields, in a five versus five format on the sand and has unlimited substitutions, making for exciting, fast moving, fun and high scoring games. It is no wonder that it is ranked among some of the fastest growing sports in the US, with the number of players almost doubling annually. We were excited to be bring the first ever beach soccer tournament to the Florence area and partnered with Driftwood Shores Resort and Conference Center to be the host hotel for the event. We worked with the planners on everything from team recruitment assistance, to connecting them with local vendors for event facilities and transportation options. Additionally, we assisted in connecting the event with Rick Dancer – a former Oregon journalist, who now produces blogs, and has a very large statewide Facebook Live following. Rick came out to the event and did a Facebook Live on the sand, interviewing the planners, and further promoting the event to his 6,000+ followers from around the state who tuned in. The tournament weekend brought typical June Oregon Coast weather – misty fog, followed by some brilliant blue skies. Teams descended from Portland, Eugene, Newport and the surrounding area. Driftwood Shores set up a beer garden and food concession on-site, offering an array of items from their restaurant, including their famous Clam Chowder. Energetic music pumped through speakers, keeping the energy up both out on the sand and in the tournament festival area. The breeze and temperature offered a perfect environment for players and spectators alike. We are looking forward to Copa Cabana returning to Florence in 2019 and seeing how this tournament continues to grow in the coming years. Mark your calendars for June 21-22, 2019! Driftwood Shores will be the place to be to catch some beach soccer action!